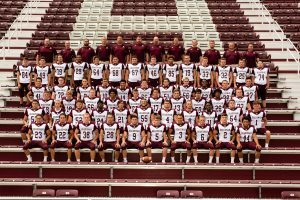 The Spartans varsity football team qualified for the Division II OHSAA Football State Play-Offs by finishing in 7th place in Region 5. They defeated Ashtabula Lakeside in their last regular season game 55-6 to earn the play-off selection. The Spartans will play undefeated and 2nd seeded Maple Heights on Friday, November 2. Game time is 7:00 p.m. and the game will be played at Maple Heights. The winner of this game will play the winner of the Nordonia vs Painesville Riverside game on November 9th. This is the first time in school history that the football team has qualified in back to back play-offs. Last year Boardman played Massillon in the first round of the Division II – Region 7 bracket. Congratulations to the entire team and Head Coach Joe Ignazio and his coaching staff. Information on ticket sales will be announced Monday afternoon. A spirit bus will also be offered for students with more information also on Monday afternoon.